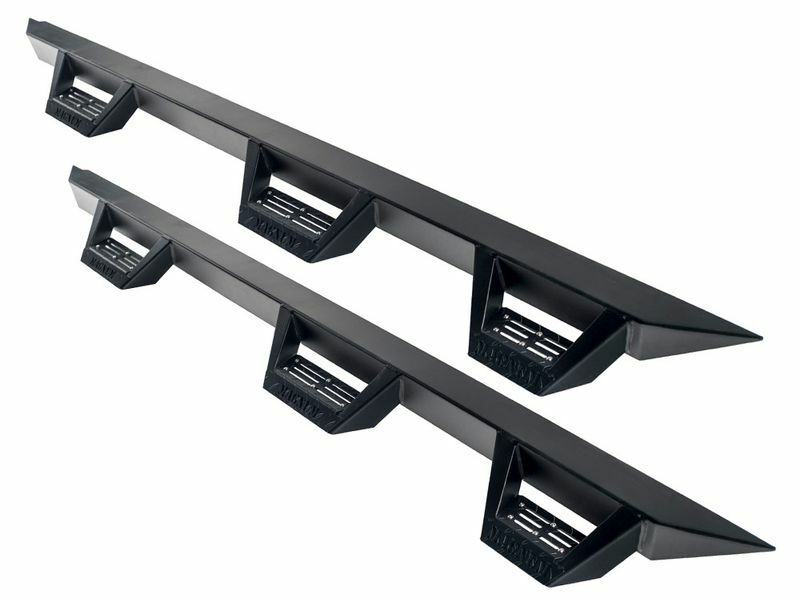 All Magnum RT Steps are as durable as they are good looking. Made from cold rolled, 10 gauge steel and equipped with heavy-duty brackets, these steps are designed to be used and abused. The Magnum RT Wheel to Wheel Steps have a third step to provide a lift into the bed. This step is fully supported by a 10 gauge steel bracket. The non-slip step pads feature a diamond plate pattern for a sure-footed grip. The slotted section on top ensures mud and snow won't build up on the step. Designed and manufactured in the U.S.A. The ICI Magnum RT Wheel to Wheel Steps are built to withstand the toughest conditions, and are backed by a limited lifetime warranty.